I found a sound that people really liked - I found this basic concept and all I did was change the lyrics and the melody a little bit. My songs, if you listen to them, they're quite a lot alike, like Chuck Berry. 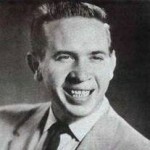 Comments on: "Buck Owens Quotes: I found a sound that people really liked - I found this basic..."